I went on an interview last Thursday that went well. When a question came up about personal success, not work related, I mentioned my love for beading and my shop success on Etsy due to my excellent customer service and genuine care and concern for the quality and customer satisfaction of my product. My interviewer said, “Oh, that’s great!” After the interview, she asked if I would like to stay and sit with another employee to see how a typical case is built, etc. I said yes and as we were walking to the front desk, she was quite interested in what kind of jewelry I made and what a cha cha bracelet was! Afterwards, she came and took me back to her office, where she asked if I had any other questions, and then there was small talk about our kids, her daughter, and country life. After that, she mentioned she had another interview but I would definitely hear from her no later than Friday of next week, and she gave me her card. Later that evening, I sent a thank-you letter by email expressing how impressed I was at the entire experience and how excited I am at the possibility of coming aboard. So now, my craft is the issue. I love making charm bracelets for little girls. Most parents can only find them handmade if they want a good one. And the interviewer not knowing what a cha cha bracelet was really stood out, and I really want to send one for her daughter. Is that out of line? Considering it’s a kind gesture, not looking for kudos points in getting the job, but that could be potential for a new customer…a sample, so to speak. The rock is that this is someone I want to hire me for a job, and the hard place is I always give a sample bracelet to people I meet who have little girls. At my last employer, all of my coworkers with daughters/grandaughters got a cha cha bracelet from me as a random gift/sample at some point in my crafting life. It did me good to see how excited they were that I even thought of them! And it normally ended up with them wanting something else, or their friends/family wanting one for their daughter, etc. At the same time though, I do hope that the gesture gives her a better idea of the kind of person I am. I’m always giving! My thoughts now are, either I can wait until I am offered the position and hired, then do it, or do it now in hopes that it actually does help. It’s almost as if I’m looking at it as something I’m going to do, but I’m weighing my options on the benefit of the timing, if any. I don’t want to appear to be creepy or kissing up for the position, but I look at it as she was someone who showed interest in my craft, and its always been common for me to give a sample to anyone who seems interested in what I do. So the question is, is that awkward in the same manner as sending a bouquet of flowers or a fruit basket? Should I turn off that giving side of my personality until I get a decision for the sake of not looking desperate and weird? Don’t do it. It’s a kind impulse, but it’s too outside of normal interviewing conventions and it does risk coming across as attempting to curry favor inappropriately. It’s also not quite appropriate to treat your interviewer like a potential customer for your Etsy business; that’s just not the right use of the time and the relationship. I get that this is something you’d normally do in other circumstances, but these aren’t other circumstances and you have to adapt your normal behavior accordingly. If you get the job, once you’re already working there, you could certainly give her a bracelet for her daughter at that point. But don’t do it before then. 2. Who owns a checklist I created at work to do my job better? I have been working for a real estate brokerage for the past three years. When I was first hired, I was given a checklist of items required to complete a real estate transaction. It was vague and did not include much information about how to get the information required. 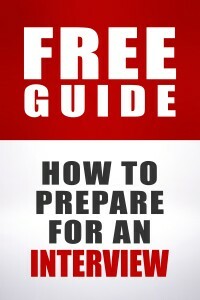 Over the past three years, I have created a streamlined, detailed checklist that has grown from one page to over six pages. It includes compliance notes/reminders, as well as lines for dates, etc. This past January, with the broker’s encouragement, I have started a company handling transactions for other agents outside of my brokerage. I use the checklist I created in-house for my company clients. My broker gets a percentage of each transaction as I am working for my company on his time (I am salaried). My broker and I have decided to hire a software designer to create an online process management tool (using my checklist). We wanted to create it originally for our own use, but it will definitely be marketable in the future – to other brokerage firms. The main question – who owns the checklist? Is it my checklist as it was something I created to keep myself on track per transaction? Is it the brokers checklist because I created it to complete work for the company and do my job well? Also, how do I protect myself if it truly is my checklist? If it is my checklist and we use the checklist for the software, I would be entitled to a percentage of that future sale/income. I have been looking at intellectual ownership and trademarking but this checklist evolves frequently. Your employer owns it. You created it on the job, during work time, as part of doing your job — as part of the “scope of your employment,” as the law puts it. There are lots of things that people take the initiative to do as part of their work (i.e., no one specifically told them to do it), but if it’s part of the work you’re doing for your employer, it’s work that they own. I interviewed for an excellent job as a marketing manager that I was eminently qualified for. I put in significant time and effort into the interview and was really happy with my performance. I was told to expect a follow-up from the EVP of marketing or HR within a week, but nothing came. I assumed I didn’t get the job and moved on. About a month after our meeting, I received an email from a recruiter at the organization who told me that due to my education (MBA candidate) and age (31), the EVP of marketing felt that I was simply after her position and they moved on with another candidate. I was floored. The job posting requested someone with an MBA and 3-5 years of experience in a specific field of marketing, including fluent knowledge of a particular second language. How was I “overqualified” and should I have done anything with the email from the recruiter? I’ve never experienced anything like this and am not sure how to process it. They may have just meant they thought you were really more interested in the higher level job and wouldn’t be satisfied for long with the one you were applying for, rather than that you were truly gunning for the EVP’s job. Sometimes that impression can stem from your background and experience, but sometimes it can stem from the type of questions you asked in the interview — or even a miscommunication about what the role is all about. I wouldn’t dwell too long on it. People get rejected for all sorts of reasons, sometimes accurate and sometimes not. Hiring is about making relatively quick judgments about people, and there’s not a 100% accuracy rate when you do that. I’d jut let the recruiter know that in fact you were really enthusiastic about the marketing manager role itself but that you’d love to talk in the future if another possible match comes up, and then move on. I have a question regarding performance reviews and whether to discuss personal information. I’m finishing up my first year at a new job and will soon have my first performance review. I haven’t had a formal performance review at any job prior to this, and I’m not quite sure how I should approach it. Are the “rules” the same as in a job interview? Or can you be more up-front because your manager knows you and your work? The reason I ask is that it’s been a tough year. I started this job when I was pregnant, so I’ve had to get back in the swing of things after maternity leave and am also dealing with the frequent interruptions that pumping breastmilk at work brings. Even though she is located remotely from me, my manager is aware of both these facts (I needed her to sign paperwork for my leave and access to the lactation room). Unfortunately, my child has had a lot of medical problems which my manager is also somewhat aware of. Our policy regarding office hours is usually rigid, but I sent her an email describing the medical problems in a nonspecific and abbreviated way and ask for additional flexibility so I can attend all the medical appointments. She granted the exception and seemed very understanding about it, perhaps because she’s also a mom. Normally, I cringe at discussing medical information at work. But the pregnancy and the frequent changes to my schedule have made it impossible to just ignore this aspect of my personal life while at work. Also, I’m proud of all that I’ve accomplished this first year and I think my work record is good! Dealing with my child’s diagnosis has forced me to become a stronger, more resilient person and I’ve also seen an improvement of my work habits. I’ve gotten better at refocusing on a task quickly despite frequent interruptions (because of pumping), better at clearing my mind to focus on work and at keeping personal stress at bay in the workplace (despite scary and stressful medical tests hanging over my head). Since my manager is aware of these circumstances anyway, I thought it would be a positive to briefly acknowledge them and list the ways these things have reinforced my work habits. However, I don’t want to look unprofessional by discussing my personal life. That’s totally fine to do and often makes sense in a situation like this. When something outside work has impacted things at work, it’s fine to acknowledge what the impact has been and how you’ve responded to it. In fact, from your manager’s standpoint, it’s probably useful to know that you’re aware of whatever impact it’s had and that you’ve actively worked to manage around it. I work for a school in the kitchen, and occasionally I have to run to the store for food. I was told I have to clock out when I leave school grounds and then clock in when I return from the store and I use my own gas. Could you tell me if that is legal? Assuming that they’re telling you to go to the store for food for them to serve (in other words, this is for work, not you just running out to get your own snacks), they’re legally required to pay you for that time. You’re doing something for your job; it’s work, and it needs to be on the clock. In most states, they’re not required to reimburse you for your gas (there are some exceptions, like California), although a decent employer would do that anyway. 5. Are they trying to protect themselves if she gets into an accident? I’m assuming they would try to say they are responsible since she was clocked out right? Why else would they make her clock out? I was thinking it could be to do with keeping track of who’s on site in case of an emergency like a fire. It could be – clocking in and out usually has to do with keeping track of hours worked, but not always. I had a job where we clocked in when we got into the office and clocked out when we left, even if we were leaving to make field visits or attend a court hearing or a meeting in another building. When we started or ended our day out of the office, we wrote the time in by hand. I have to agree. Having worked for a school when/while driving burned down, one of the last things the school secretary did was pull the day’s roll call so we could verify who wasn’t there and didn’t need to be looked for. I wouldn’t have been surprised if she did the same for staff. I don’t know if that reasoning would really be accepted by worker’s comp. I think it’s more likely that they have some blanket policy “clock out when leaving school grounds” and they aren’t allowed to ever make exceptions to policy. Or they think she’s off having “fun” at the store and not working. Based on my interpretation of that law, having the employee clock out would not relieve the company of responsibility. It may be hard to prove that she was on company business, but if there’s a written record, like a text message, she could push back if something happened. I believe her personal insurance would still be the primary coverage, so the company (or its insurance) would only be liable for any amounts above and beyond the employee’s coverage…which is less likely for property damage than for injury to people. 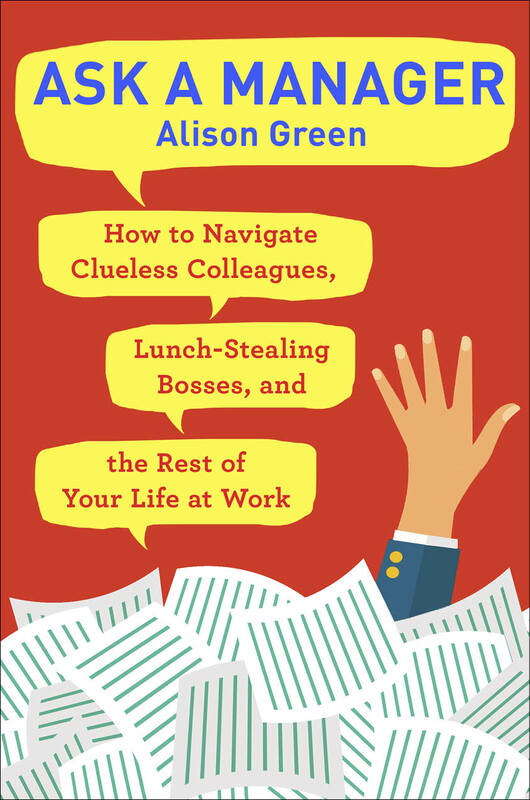 And of course, like Alison said, by having the employee clock out and not paying her, the company opens itself up to litigation or fines on the basis of employment laws…a risk that’s far likelier to be realized than an expensive, debilitating car accident. It wouldn’t limit their liability, but they might *think* it would! This really is a case by case, state by state, jurisdiction by jurisdiction basis – it could limit their liability depending on many variables. It depends. If your employer doesn’t have a Business Auto policy, or if they have a Business Auto policy that does not include liability coverage for cars their employees own and operate in the course and scope of their job duties for said employer, then yes, the employee’s own personal insurance would need to handle any liability or physical damage claim made against her even if the accident happened on company time. If they do have Business Auto coverage that covers your vehicle, then the employer’s insurer would cover it provided all other policy provisions are met. But don’t most insurance policies ask if you’re using your personal vehicle in a business capacity? So if you don’t update your policy accordingly, you’re now doubly screwed. I’m not sure of all the nuances of personal auto policies since I don’t drive and work with commercial insurance where the coverage is different, but every state has required financial responsibility laws regarding liability coverage for automobiles. Your personal policy can have all the exclusions it wants about business use, but if state law requires you carry a minimum liability limit and your employer’s BA policy doesn’t cover you, then your personal insurer can be sued by an injured party for the minimum limit required under the law – and your insurer may very well be on the hook for paying regardless of their exclusion since state statutes trump policy language every time. I don’t think it’s an exclusion for business use so much as it’s fraud if you lie and say you don’t use it for business (just like it’s fraud if you say it’s normally garaged in an area that has lower rates than the place where it’s actually garaged). It’s entirely possible that your personal policy would cover an occasional work-related errand but refuse to pay if you didn’t tell them you regularly use your car to deliver pizzas. Yes and no. There are business use exclusions in the PAP (I had to pull out my personal coverages book for this) for specific types of autos and specific types of business (so your food delivery example would go here). And yes, if on an application you say you only use your vehicle for personal use when you know that’s not true, it’s fraud and your policy can be cancelled. However, that still doesn’t automatically negate you or your personal insurers neglect and financial responsibility for the loss to another party. What usually ends up happening here is that someone will sue both the at fault driver and that driver’s insurance carrier (because the carrier has deeper pockets and is more likely to be the source of the payment), the insurance carrier will investigate and will review the original application to determine fraud, the insurance carrier may then issue a declination to their insured citing fraud and cancel the policy effective immediately – but investigations take time, especially if you’re trying to prove your insured wasn’t just doing a one-off business task and frequently drives for work (this is where SIU teams and surveillance comes into play). The insurer is more likely to settle the third party claim, especially if it’s a bodily injury claim, then cancel the policy once fraud is confirmed, and then report the insured to the appropriate state regulatory commission for insurance fraud while simultaneously proceeding with subrogation against their former insured (fraud is one of the few times the policy gives the insurer the right to pursue their own insured for payments made to a third party when the insured is at fault). While that is true, if your personal insurance company covered it then that insurance company would then be able to go after (sue) the business for their costs and expenses associated with the incident. Plus, your insurance company would be able to get a portion of any settlements you receive (from the other driver, for example) to cover their costs. Either way, the business would potentially be on the hook for any expenses associated with a car accident. If the business is having people run errands for them, they should get insurance. Again, this is not necessarily true – I work in commercial insurance and have seen personal auto insurers attempt to sue a business for the recovery of funds paid, and depending on the facts of the claim, the jurisdiction, state statute, case law (if no statute exists), and the policy language itself, the business’s auto carrier (who would most likely be defending them in any suit under the BAP) would not necessarily have to pay a dime. I know my company has successfully defended against such claims in both litigation and in arbitration. Having been rear ended while running errands in my car for work, Quebec (mine) a Ontario (hitter) insurance had no issue with me using my personal car for work because it happened less than once a month (the errands, not the accidents). It was the same for the fact that I didn’t hav nmy car registered for commuting becaus they allowed for it happening a few times a month. I have a part time job that gives us paid breaks. They don’t want us to leave the building on break, but if we do we have to swipe out and back in for evacuation reasons. I still get paid from first report to last exit. On #5, I wonder if they’re asking her to clock out “when she leaves school grounds” for insurance reasons rather than trying to shirt her paycheck. Not that it’s okay either way, just wondering if they’re really not covered for her as a driver. This needs to join the Official Slang. #3, Interviewing can be really ctazy. It’s such a stilted interaction. Good or bad reason, the boss didn’t want to work with you so you’re better off not being hired by that boss. I doubt you burned all your bridges at the company or anything. I probably wouldn’t respond because I’d end up letting some snark sneak in. Sorry you didn’t get the job or a normal reason for rejection. The fact that the hiring manager actually *said* she felt like the LW was gunning for her job…makes her seem like a bit of a wackjob, to me. And it’s weird that the recruiter then went back and actually repeated that to the candidate, instead of parsing it into a more-objective response. I suppose it’s useful feedback for the LW, to know that she comes across as threatening at least some of the time, but it’s the kind of feedback that makes the hiring manager look even worse. But we don’t actually know that the VP said that… we just have the recruiter’s words. Maybe the recruiter misunderstood or is exaggerating. It could certainly be that was the case — the position was odd given that I would be reporting to the VP of Marketing but only on some matters. Most of the time, I would be reporting to an EVP of a parent corporation that had recently acquired where I was working. All-in-all, I just found the recruiter’s email to be a bit… shocking. If the VP truly was paranoid then she would continuously be sabotaging the OP in order to keep him in his place. Thanks! (I’m the guy who got the wonky email). I was just really surprised that they didn’t give me some other such excuse (which is what I would have expected). It was a bit surreal to read the first time. 1. He was too good. No one is that good. There must be something wrong with him. 2. When we asked her what coffee she would order on a group run, she stated she didn’t really like coffee so she would order tea. How stuck up can you be? To be clear, boss’s opinion was how stuck up can you be. I personally love tea, and I know many folks who shun coffee. I make no personality judgement based on this taste preference. Your boss has got some weird issues about beverages. The fact that the coffee question was asked during an interview (if it wasn’t just small talk) is pretty indicative of some weird stuff going on. 1. We needed night coverage for a role, boss hired someone going to night school 3X per week, then tried to guilt all of us into switching to nights instead. 2. Person had been offered our role 4X in the past and always used it as a bargain to get promoted in his current department. Boss offered him the job for the 5th time, surprise, candidate did not come to our team, used it to leverage a promotion in his department. For question #1–What if she doesn’t get the job? Is it okay to send a bracelet then, or still weird? I think it would be much less weird in that circumstance. Sending it before an offer/rejection seems like an attempt at mild bribery. Afterwards it seems like a genuinely nice gesture. What? No, it would be even weirder! It would seem like an attempt to change the decision. This. If she doesn’t get the job it is just creepy to be sending gifts. Yup. No gift giving under any circumstances, OP. Seriously – resist the temptation. I disagree. There is no reason not to send the gift after a rejection; and it will only seem like an attempt to change it if the OP makes it so. It might be a good idea to wait a few weeks, to make the offer of the bracelet obviously separate from the hiring. Especially if she also sent a note saying something recognizing that they went with a different candidate and (if this next part is true) that she enjoyed meeting with them. Then mentioned the reason that she sent the bracelet is because of their interest (or she just thought maybe daughter would like it) an day be even include a business card with her etsy info on it….just to make it clear that she’s not trying to get them to change their mind or anything like that and truly just thought the kiddo might like it. Personally, I’d just include the etsy business card, no bracelet. It’s way too salesy and forward as the interview wasn’t for OP 1 to pitch her business. Agreed. Also, i know the OP is motivated by kindness, but in really uncomfortable surg giving gendered gifts to children you don’t know. I’m female and as a child I’d have been faintly horrified by a girly gift; one of my brothers would have been similarly horrified by a sporty or otherwise stereotypically boy gift. If you know the child would like it, I think it’s a lovely and thoughtful gift, but making it a girl thing bothers me. My own feelings are strong on this one and probably unusual, so your mileage may vary! I agree with this – not all girls like jewellery. I agree. OP1 seems to be assuming that OF COURSE the interviewer wants a bracelet for her daughter, and OF COURSE everyone with a daughter does. But in this situation, there’s no way to know whether the person was just being polite. Also, OP, it’s not strange at all to not know what a “cha cha bracelet” is. I googled it, and I still don’t. Nor want to know, because no one else is as interested in your etsy crafts as you are. I agree. One of my daughters would love jewelry and one wouldn’t – but to get a piece of jewelry from someone who knew from 90 seconds of polite chitchat in an interview that I have young daughters would come across as creepy and weird. They have no clue who my kids are or if they’d like such jewelry, plus it seems like the candidate was trying to curry favor for getting the job. This may sound harsh to OP1, but the hiring manager may not actually care about your Etsy shop or your jewelry. I’m happy to make polite conversation with job candidates about their hobbies during lunch or something, but I don’t really care much that Jane likes to go BASE jumping or that Bob plays tuba in a polka band on the weekend or whatever. Unless the hobby is relevant to the work we do, it’s pretty irrelevant. 1. She would wear it for a day and then it would get lost in the sea of bracelets and necklaces and stuffies and toys and craft supplies and clothes and nail polish in her room, never to be seen again. or 2. I would anticipate option 1, and not even bring it home to her in the first place. I would accept it from OP in the spirit in which it was intended, and then donate it instead of adding to all the stuff we already have in the house. It is a kind impulse, OP, and I can see that you really love making and giving away the bracelets. But I think you can see how not everybody would appreciate it, regardless of your good intentions. Save that work (and the intentions) for people who really love and want them! I disagree. I’d be uncomfortable getting a gift from a virtual stranger and would wonder what she wanted – because a gift in those circumstances would feel manipulative. Agreed. I’d also be uncomfortable, whether it’s before or after the decision is made. And I’d resent someone trying to pitch me on their own business, which is exactly how I’d view it. I don’t think this applies in the of context of the OP having already had a discussion with the manager about her bussiness and them expressing interest in it. The manager expressed interest in the context of an interview. It’s not like they met on the street, the manager saw the bracelet, and then asked about it/expressed interest in getting one. I sit on interview panels with one of my former managers, and whenever we’re waiting around with a job candidate for someone or something, she expresses interest in something they’re wearing or something they’ve told her about themselves personally – but she doesn’t really have interest in said thing. She’s just being polite. We have no way of knowing whether the manager in this situation was truly interested or just engaged in small talk with a potential new hire about something she knows the potential likes out of politeness. If the manager wants a bracelet, she has OP’s contact info from her resume – she can reach out and ask for her Etsy info on her own. Well, maybe. The OP is the only one who can judge of how genuine the manager’s interest was and/or if the gift will be appreciated. MK – I can *sound* interested in just about anything if I want to. It’s a useful conversational skill to develop. It really doesn’t mean I care in the slightest about what we’re talking about – especially if it’s someone I just met in a different professional context (i.e. an interview). I can be interested in someone’s business without ever wanting to buy or be given any merchandise. I would be uncomfortable receiving a gift in this scenario, and I would be less likely to call the OP back if the person I hired didn’t work out, even if I thought she was the next best candidate. I’d worry that she’d be inclined to mix her side business with her day job. Well it would creep me out. Strangers don’t give gifts to strangers kids for no reason. It is creepy. While I agree she shouldn’t give the bracelet if she’s rejected, I do think there’s a distinction between giving the bracelet to the kid (creepy) and giving it to the mom, who can then decide whether to pass it on to her daughter. Still weird. I would be weirded-out with any candidate sending something after an interview, even if couched as a “sample” of unrelated work. She went on the interview to get a job, not to drum up business for her Etsy shop. In the interviewer’s position I might purchase something from the candidate’s Etsy shop after the offer/rejection decision was made. Even if they became my subordinate it would be weird to get a free piece of jewelry from them. Exactly this. In the situation the OP described, there is no place for handing out gifts, regardless of getting or not getting the job. Look, bottom line: your side business has nothing to do with the mechanics of getting an unrelated full-time job. Yes, and now the interviewer knows about it–if she’s interested, she will contact the OP or go to the shop online and make a purchase. Or if the OP got the job, she might ask her about it. But no, don’t send her anything. That’s akin to when a friend invites you over to spend an evening and you get there and it’s a goddamn Jamberry party. It makes you feel used. Nope-that would be weirdly personal to me from a stranger (which an unhired job applicant really is). Maybe IF she gets the job AND after a little time has passed. Getting a gift from a job applicant would feel very uncomfortable to me, but from a coworker of a few months in a culture that was cool with that sort of thing, especially when the gift is related to something we’ve discussed in the past, wouldn’t send up any flags for me. I’ve worked in places where such gifts were very normal. Giving it some time would let OP get a feel for the office culture on gifts and whether such a gift would be appreciated by the daughter and parent. #5 – perhaps something to do with emergency evacuation procedures i.e. if you’re still clocked in, they might think you’re physically in the building. Doesn’t matter why. It’s still illegal. How do they track hours then? Clocking in and out is how you do it. The problem is that the school tied the clock to the evacuation list. That’s wrong. Have employees clock in and out AND sign in and out. You track hours the same way most places do – when do they start and end the day and ignore the in/outs during the day, just counting the first and last ones. Yes, they might have it set up so that only an unpaid lunch break shows as not working and that’s how the time goes in to payroll. At Exjob, I had to drive my own car to Sam’s for break room supplies–though I did not have to clock out. I did get paid for mileage. I don’t know what insurance would have done if I had an accident. The supervisor who hired me went to Walmart to run an errand, and a truck from some company hit her and she got hurt. But their insurance paid for that because it was the driver’s fault entirely. That’s the least-nefarious reason, of all the ones mentioned, but they need to find another way. They still are legally obligated to pay her for her time. Maybe there could be a secondary check-in/out system for employees that leave often. Or a mode on the current system to signify an employee that, while “on the clock”, is off the premises. Or, they could have her calculate how much time she spends running errands and have her report it at the end of the time period. They’ll end up doing that last one, anyway, when they end up getting in trouble for running afoul of labor laws and having to pay the employee back wages. #5 – to echo most of the comments, I just wanted to throw this in: most Australian schools require any employee, student, parent, visitor, contractor, etc. who is going to enter the grounds (further than reception) to sign in and out in event of a fire, or some such incident. One of my coworkers does a coffee run – she’s gone maybe 10 minutes in total and she was told she was to start signing out and back in for this purpose. Yes… but that’s at the reception desk visitor sign in / out book… not a time card clock in/out…? Correct, it’s just to track who’s on the school grounds at any one time. Nothing to do with pay at all. #4 You don’t need to have kids yourself to have basic empathy for a fellow human whose child is sick. Anyway, I think it makes total sense to discuss this – and I really hope things get easier for you. Yeah, that caught my eye too. Although I’d say the OP’s suggestion that her boss supported her because she’s also a mom is more of a sad reflection on the inflexibility of many employers in a situation like this, rather than a “people who don’t have kids couldn’t possibly understand” issue. Yes, I did not mean any slight against people who don’t have kids. It’s just that the office culture seemed inflexible in regards to schedules, and (being a new employee) I thought that I would be expected to just make it work somehow while sticking to a normal schedule. However, obviously my boss feels that I should be allowed more flexibility, which I didn’t anticipate at first. Also, it just seems easier to talk to her about personal issues (especially anything at all to do with the lactation room) when she’s a woman senior to me who has some personal experience (vs, for example having to talk to a male manager). But perhaps that’s a reflection of my own bias. Oh sure. I guess I was just cautioning against thinking people without kids are people you can’t confide in, I suppose. Thank you for mentioning this. That sentence stood out for me too– and not in a positive way. I think most people can be sympathetic/empathetic about such situations without being a parent. +1. Fortunately plenty of people have enough imagination to be able to imagine what others are going through without being in the exact same circumstances themselves. It’s called empathy. OP, I’d also suggest thanking your boss during the review for being so understanding, as you know it’s not a given, so expressing your appreciation and talking about how it’s helped you stay more productive, and committed to the company, would be a nice gesture.. Plenty of studies have shown that working mothers face additional obstacles in the workplace–less likely to be promoted is a big one in my field, and lower wages is another common one–in such a large-scale systematic way, it’s not surprising that working moms are uneasy about discussing family issues with non-parents. I don’t think it’s outlandish to believe that a person who has had similar experiences will likely feel and demonstrate empathy. Similarly, when I was dealing with anxiety, I had an easier time talking about it with my supervisor because I knew he also has experienced work-related anxiety. For #2, suppose OP creates a new checklist on his/her own time and with his/her own resources. That checklist will need to broadly cover the same subject matter, since the same problems will need to be resolved. What would be sufficient to distinguish the new checklist from the old one and avoid trampling on the employer’s copyright? Frankly, I am not sure it’s even possible for such a checklist to be covered by copyright. It sounds more like a system/process of work to me. You may be able to patent it, but I think it would have to be a really unique idea about doing business to get a patent. The words could not be copyright because copyright is on the expression of an idea. The LoC has determined that mere recipes or lists of procedures are not ideas that can be copyright. Yes, a patent would be possible. You’ve pointed out the first problem, that it’s likely not original. A 2nd version, created by the OP her/himself would fail patent on prior art at least (the 1st rendition of the checklist.) Patent can also be quite expensive to pursue. IANAL: Please don’t take anything in this comment as legal advice. The only legal advice here is: Talk to an IP attorney before taking any action. It most likely would be considered by the employer to be a trade secret, since it’s basically a work process. It’s still the employer’s intellectual property since it was produced as part of the employee doing their job. I long ago accepted that anything I do on the clock belongs to my employer. As a result I have multiple U.S. and international patents in which I’m the named inventor but all I got for it was a nominal cash bonus and a nice plaque because my employer is the assignee. Well, it would need to be made while the individual was not an employee (does she really want to give up her job for this?) and she probably couldn’t be working for any other company in a similar industry. Also, it could not use any of the material included in the first checklist. I think the OP needs to accept that this belongs to her employer and mentally move on. Thank you everyone for commenting about my IP dilemma! The good news is, we currently have a good relationship and he knows how my strengths are contributing to his business but, I know that can change. I did investigate IP and will continue to pursue an attorney to be sure I know what my real ownership is prior to the negotiation process. I have a question that #4 makes me want to ask. I just started a new job a couple months ago and my performance has not been where it usually is. My fiance was diagnosed with cancer about 6 months back and the worry and stress over dealing with it has left me far from my best. I feel that my performance has been pretty poor but I’m not sure what my manager will say when I have a performance review. I haven’t wanted to talk to my manager about it (especially because my fiance and I aren’t married yet.. so I guess it feels less legitimate when we’re not actually family yet?) but now after hearing the answer to this question I’m not sure if I should give her a heads up now, wait until I have a (possibly poor) performance review, or not talk to her all together. The job is also extremely high paying with high expectations, and I hate to feel like I’m making excuses for poor performance or be viewed permanently with pity. We’re waiting to hear if my fiance will need another round of treatment. If it’s good news, I think things will go back to normal soon. If it’s bad news, I suppose I’ll have to bring it up to her because I’ll want to take him to some of his treatments so I guess this may resolve itself either way. I’m so, so sorry. I hope you do get good news. I would be proactive and let your boss know what’s been going on, especially since you feel it may have been impacting your work. I don’t think it would sound like making excuses at all; you’re telling her what’s going on and letting her know how you’ve been trying to mitigate its effects on your work. It also gives her a heads up if you will be asking for time off. I suspect it will be good for you to have one less source of stress, too, to not have to worry about whether your boss thinks you’re just not trying at work anymore. I also completely understand where you’re coming from with the fear of your fiancé not being take seriously as “real family,” because I could see myself worrying the same – but I think it’s ultimately an unfounded fear. Your legal rights (FMLA etc.) may or may not yet be the same as if your fiancé were your spouse, but human compassion-wise your boss will recognize that he’s already part of your family. I’m sorry, Ursula. Hoping for good news. I had (in addition to medical stuff) various family things going on this year. I HAD to tell my boss early on, mostly for my own sanity but also because I wanted them to know that if I was distracted or needed time off, there was a reason. i didn’t want to wait until I got terrible news and collapsed in depression at work. I didn’t give a lot of detail, just a heads up. It… was difficult. I didn’t wanna make excuses. But mostly, a short, clear “I understand that I haven’t performed up to par but I will next year. Issues X, Y, Z happened but are under control.” seemed to be the best thing. 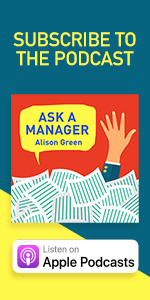 Ask your manager now how things are going, if there are any areas you need to improve, etc. so that whatever you hear at a performance review won’t be a surprise. *hug* I hope it’s good news. You don’t have to go into excruciating detail, but I would go with Elizabeth the Ginger’s advice. #3: This is a great example of how modern hiring breaks down, as you have two organizational problems that are each awful on their own ramming up against each other. On the one hand, in companies where management has not stomped out CYA culture, you have the tendency of front-line HR folks to want to pick the safest-looking candidate, regardless of whether they are the best candidate for the business. Often that means asking for credentials and experience far beyond what is needed — that way if the candidate they select turns out to be a bad one (perhaps they spent their years at Company Y mostly goofing off, and their university was more interested in the tuition money than the caliber of their graduates), HR can shift the blame onto the credentials and companies, claiming that “They fooled everyone — they had a degree in Teapots from Respected U and held an identical position for years at our competitor!” In large companies HR doesn’t have to care if the employees they pass along can tie their own shoes — so long as none of the consequences of those employees’ actions impact their own paycheck. A large company can coast along for a very long time before the deadwood employees this practice accumulates drags it under, which can allow it to persist for a very long time. On the other hand, you have Peter Principle problems, and the corresponding paranoia of having subordinates who seem to know more than you do in a blame-based organizational culture. If a candidate meets not only HR’s paper qualifications but is actually qualified to the level requested, of course this will cause concerns. Much like with HR, in many organizations middle managers don’t care if this new employee can give the company a new lease on life, if that lease involves any risk to their own position. It’s important to have a sense of humor about it — otherwise the enormity of the problem and the organization changes needed to correct it seem too overwhelming to do anything about, even though the first steps are often the most difficult. I cannot help but feel this is a overly melodramatic view. I mean, the chances of a perfect-on-paper candidate being totally incompetent are not much; they may not be the absolute best for the job, but they will usually be at least adequate and probably quite good. Agreed. And also I think most hr folks want someone appropriately qualified for the job, they don’t just do weird things like look at excessive experience and schooling to cover their arse. Also we don’t go into hiring thinking that the candidate is going to be fired one day – that’s the opposite of what the point of the job is. Well, yes, they have to be at least adequate — often that is actually the sweet spot, since they will look good enough for HR to feel comfortable with, but on interviewing with the hiring manager it will become clear that they likely aren’t a threat to the superior’s position. As an individual exchange between two employees and a new one, it makes perfect sense. On an organizational level, though, this exchange happening over and over again can cause serious problems. I don’t agree with this at all. Most in house recruiters have their job performance measured by some combination of time to fill and retention. We look for candidates who are both a good technical fit and who will mesh well with their direct supervisor and the team at large. We look for the corresponding skills and experience combined with things like specific accomplishments, reasonable/stable work history and professional behaviors. I’ve never looked for someone who was simply “good on paper” to “cover myself”. What an odd way of looking at HR. It sounds like you work for an organization that has kept control over these issues. Not all organizations are good about that. For one, many HR and recruiters do not have access to good research-based training anymore. If you are familiar with the field, you are probably aware of all the dirty laundry that was aired by the public fight between SHRM and HRCI leading up to their split. A lot of the things they said are things which many have known privately for quite some time — that HRCI’s certifications are jargon-heavy and not especially rigorous, that SHRM made quite a bit of money selling “study guides” and that their senior executives really don’t think much of the certifications, despite their profitableness, few having bothered to get them themselves, and that often their behaviors are only non-profit in name. A lot of this goes back to the complete collapse of the basic research branch of HR in the 70s, from which the field is still struggling to recover. In the absence of rigorous in-house training, an HRCI cert and the occasional lunch with the local SHRM chapter is likely all the training a person has received. This can put people in a very tense spot; the bad practices I’ve described are one way they try to get out of it, in the absence of larger organizational support. I don’t think this is especially common, and it’s reading an awful lot into the situation without grounds for it! Op #4, I was in a… slightly similar position this year. I started my job and then six months in I had a medical emergency (pulmonary embolism – don’t take BCPs if you have blood clots in your family… Like. Really don’t.) that in the end meant I had to take 2-ish months of sick leave and when I came back, my bosses were kind enough to give me a project that didn’t demand very much so that I would have time to recover. Not exactly how one wants to start a new job. So by them time performance reviews rolled around, it ended up being a little weird. “Yeah, you’ve been great when you’ve been here” was basically the feedback it was possible to give me. It wasn’t ideal but they WERE understanding. We talked about it, and then decided to move on and focus on next year. It sounds like you can make a much more compelling story out of your issues though. But generally, I’ve found people to be way more understand than one expects. I hope everything goes well for you and your child. I had a DVT but lucky it didn’t go that route. I hope you’re okay now. So, how would this work if you’re an hourly employee and you create something for yourself on your own at work but using part of the insight you have from work and then also offer to bring it at work? Would you not be allowed to use it because it would be like you were indirectly working off the clock? I ask because I’d like to experiment with some learning resources to practice some computer skills with, but it seems like it would make my life at work so much easier as well. #5: It is unlikely in this situation but time she’s clocked out for the errands may be added back into her paycheck. Big Grocery Chain where my College kids work handles breaks this way. The 15 minutes breaks are on-the-clock, of course, plus, by company policy, a 30 minute lunch break on shifts over X hours. (Lunches are unpaid on shorter shifts.) However they have to clock out for all lunches and breaks, probably to keep track of how much time employees take and document that Big Grocery Chain is giving the breaks and lunches. The time is then “added back,” as my son describes it, when their pay is processed. OP5: Could it be a misunderstanding where the “always clock out when leaving campus” policy was made without considering roles like OPs, that involve running errands? If most employees are teachers, secretaries, support staff, admins, etc who would never run into this sort of problem, it could just be an innocent oversight. OP should bring up that they still need to be paid, and ask their boss how those hours should be tracked. Do so matter of factly, as if OF COURSE you are going to be paid for the time you spent getting groceries for the school, as opposed to accusing anyone of attempting wage theft. It IS wage theft, but assume ignorance rather than malice, at least at first. They need to be paying for her time to run their errands, if they don’t reimburse even gas she can deduct mileage, which would be more, anyway. #1: The rock is that this is someone I want to hire me for a job, and the hard place is I always give a sample bracelet to people I meet who have little girls. At my last employer, all of my coworkers with daughters/grandaughters got a cha cha bracelet from me as a random gift/sample at some point in my crafting life. Am I the only one who thinks this seems really, really awkward and gendered? Not all little girls like jewelry and I’d be pretty annoyed if a colleague gave me a sample of jewelry for girls merely because I had a daughter – the same way I was super annoyed when a former coworker gave me a random sample of jewelry she made on the apparent basis that I’m a woman and all woman must love jewelry when, in fact, I never wear any. I know the OP probably means well, but while I’m polite when someone mentions their side business or crafts to me, I don’t really like people giving out samples or gifts at work because some people feel like they have to support their coworker’s business or act super invested when they’re not. And some people find it hard refusing a “random gift/sample”. Basically, OP1, if you know a girl is going to like the gift, go ahead, but please don’t assume that every little girl will love this. I can’t even count the number of times some adult gave me something girly when I was young that I had no interest in. My mum had to throw out so many well-meant gifts of charm bracelets and necklaces and bows because I would have been horrified to wear any of them. Giving this hiring manager or coworkers samples of your crafts does not show you’re “always giving”. It shows you’re looking for a new customer. +1, I found this letter insincere for the exact reason you named in your last paragraph. When the OP stands to benefit in two ways from this interaction– new job or new customer– the last thing a free sample says is “generous”. Really the fact that the OP sees it as a sample says it all. I had to google “cha cha bracelet” and some of them are beautiful but they are a lot of look! They’re definitely not something everyone would want, or that someone would want to wear just because they admired it on someone else. It’s kind of a specialty item and if someone doesn’t currently wear them, I’d assume they’re just being polite. I’ve also had to toss or donate a lot of well-meant craft jewelry over the years. Yes, exactly. The entire letter came off to me as a sales pitch because the OP even admits it’s something she’s going to do, and was just wondering about the timing. Someone can express interest in another person’s hobby or side business without wanting to be involved or purchase something. It’s basic politeness. This is why I try to avoid accepting “gifts” from someone’s hobby or side business at work – because they’re often not meant as gifts – they’re usually meant as a way to encourage or entice me to support their business and I don’t want to cross that line at work. I had to Google “cha-cha bracelet”, too. I’ve seen them before; I just didn’t realize they were called that. It’s a bracelet with a whole bunch of dangly things all over it. The “random gift/sample” wording gives the real motivation here, which is getting a new customer for the Etsy business. You give out free samples when you’re trying to sell something; it’s not a gift. +9000 on the gendered weirdness and I’m glad I’m not the only one who thought it. I think what bugged me is that OP says she just gives them to everyone who has a daughter, which implies that all girls must love jewelry. It’d be different if she asked if people were interested before giving a free sample. I’m sure at least a few people have taken those gifts/samples out of politeness rather than because they thought their daughter would like it. Sometimes it’s easier to smile, nod, and say thanks than offend a coworker. Yep. Although someone might know a relative or friend who might be interested, it’s best to just let people come to you on this sort of thing (if they want one). At least, when you’re at work! Maybe put a flyer on the break room table or something. Yup. I definitely agree that this doesn’t come across as generous, but rather as a sales pitch. Which is fine, but call it what it is. Also, I wonder how good it could be for your Etsy business if you’re giving your product away for free? If the samples are like the B-list compared to what you sell in your store, then it’s definitely a sales pitch and not a gift. +1 Not every little girl likes jewelry. Or pink. Or dresses (though I’ve come around a bit on those in the last 5 years). I’d rather save the princess than be the princess, thank you. #1 – It’s not likely that this would work to your benefit under any circumstances. A manager who would let this tip the scales in your favor is one who does what benefits her personally rather than one who does what benefits her organization–in fact, in the case of two equal candidates, a good manager would very likely choose the other candidate to avoid any appearance of impropriety and because you lost points by violating professional norms. You don’t want to work for a boss who rewards people who curry favor. The best-case scenario is that you’re a strong enough candidate to be hired with or without the gift.